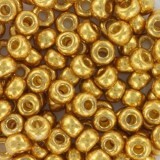 Miyuki Round seed beads are Japanese glass beads of the highest quality. 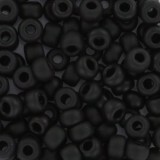 They are fine beads, very high quality, where each shape and color are almost perfect. 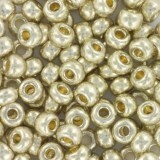 This group includes beads of various sizes 6/0, 8/0, 11/0 and 15/0. Miyuki is a Japanese name that has many positive connotations. It means, among others: happiness, beautiful snow, great cause. So these glass beads can contribute to the beautiful work and effect in the form of Miyuki bracelets. This type is considered the best beads that can be used for beading. It is easy to thread them, and besides they are durable and made of glass, have a beautiful color and gloss. Many handicraftsmen as well as fashion designers use them because of the brightness and even surfaces that can be created from them. These beads are produced with Japanese precision, which is why each of them is identical. 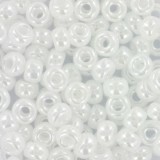 With Miyuki Round beads you can make jewelry, as well as household items and other handicrafts. 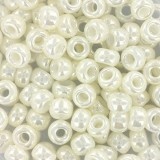 You can make bracelets from Miyuki beads, there are great to use with jewellery findings or glass beads. Miyuki beads are available in many shapes and colors - look around our store and choose the ones you like best!